In the late 1960s, George Romero and his collaborators changed the mother-effing world and established a genre with Night of the Living Dead. This film is often charged with shifting what “zombie” meant, from 1950s c-movie schlock about voodoo curses to the more violent, edgy and even sometimes politically relevant living dead. Decades later, video games would progress to the point of developers and directors injecting their cinematic inspirations more directly into projects. Some of the biggest examples of that are Metal Gear Solid, and of course Resident Evil. Before he passed away in 2017, Romero himself often struggled to bring back his past successes, despite the proliferation of zombie works such as The Walking Dead. At the same time, Resident Evil would move away from its roots in the Romero horror style. 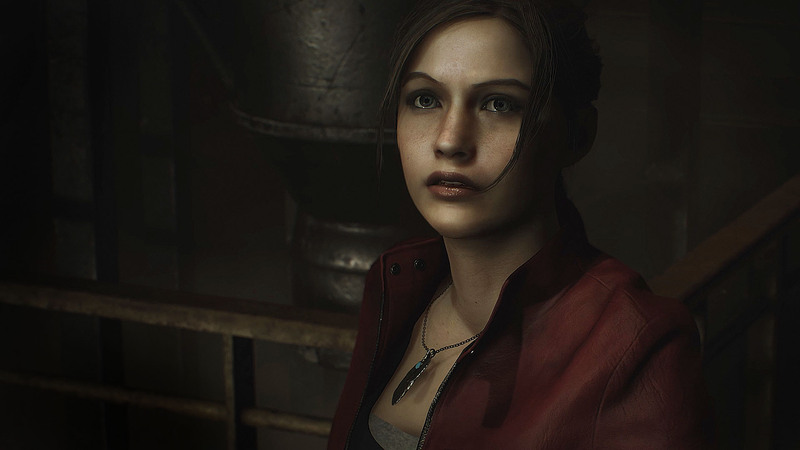 But just over a year later, Capcom’s Resident Evil 2 remake not only brought that style back with renewed confidence and energy, but did so in a way that brings Romero’s involvement with the series itself back to the foreground. This trailer, which only aired in Japan, was so well-received that Romero was eventually approached for the Resident Evil movie project. He turned it down at first, but eventually came back after Halloween 4 and Spawn writer Alan McElroy left the project. Romero approached the Resident Evil film quite faithfully, with a paramilitary team responding to a corporate biological disaster leading to the infamous mansion and more complicated bio-horrors. It would also be more of an action movie, to reflect what was happening with the sequel at the time. Ultimately his script, and subsequent drafts were rejected by German production company Constantin, with Romero citing an executive misunderstanding of the material, and later reports implying the issue was violence. Romero’s scripts would make the material untenable in the company’s own country, and Paul W.S. Anderson would eventually come in with much safer material. Years later, we live in a post-post Resident Evil world. The movie franchise exploded and is now being rebooted, the Resident Evil series itself has undergone several makeovers, Germany has relaxed its media restrictions a little and Romero would return to the Living Dead well several more times before losing a battle to lung cancer. While Romero’s career ended with several unfortunate loose ends, an identity crisis at Capcom would lead to a remake of Resident Evil 2, which by my estimation is an early Game of the Year contender for 2019. Part of that is a return to the series’ roots, but it’s also an expression of those same themes from the 90s and earlier, but with modern technology and perspective helping it feel new and re-energized. And at the end of the day, just before release, Romero’s involvement came along with the project—full circle—in the form of a tribute. Resident Evil 2 itself is largely a success because of how it feels to play it. The internet is abuzz with reactions to the game’s horror, which is frankly astonishing today because of how so many of us are desensitized to the old genre tricks. And while Resident Evil 2 certainly tries its hand at subverting expectations, plenty of tried and true staples also work in its favor. Bringing back that Romero vibe works well too. We have simple, earnest characters in Leon and Claire alongside the more Capcom-y conspiracies and bio-horror elements coming in in the back half. But everything leading up to that stuff is all classic B-movie and Romero-inspired stuff. The small American vibes of the opening, with the truck driver and the gas station, set that up so well compared to the original’s gun shop drama. That all leads up to themes of corporate sociopathy and accountability, as Leon becomes driven on a self-appointed mission to survive and expose the Umbrella Corporation. I also have to mention the gore. When people speak of George Romero, the conversation settles to both social commentary, and ludicrously detailed and creative gore. Sausage links and pig parts, along with animatronics from the likes of Tom Savini and Greg Nicotero’s VFX companies make those movies just as memorable as the drama. And just as Resident Evil 2 gets started, we see a cop get torn in half in a way that has not happened in the series before, as technology has led to this level of violence being possible. Guts, dismemberment, and big, meaty neck chunks are all a part of the show here. But even with the gore, the mood, and the earnest anti-corporation story, there’s a cherry on top of this story that happened literally as I was working on this piece. Capcom commissioned a brand new live action trailer for this brand new vision of Resident Evil 2, and it isn’t just a coincidence. Posted to official YouTube channels, direct lines are drawn between George Romero’s work with the series in 1998. The trailers are deliberately similar, with Leon desperately tearing through a horde of zombies, ending up cornered. He turns to fire at a perceived threat who turns out to be Claire, and the two face the incoming threat together. The smaller details are different, but the respect for Romero’s legacy is all over the new trailer. Exploring the connection between George Romero and Resident Evil 2 is a grim reminder of how things don’t always work out. Romero’s legacy as the grandfather of an entire genre is punctuated with decades of false starts and projects that failed to make an impact. Ultimately, Romero was even removed from a project directly inspired by his universally formative work. At the same time, there’s a tinge of hope here. Creators get chewed up and spit out by executive ignorance all the time, but Resident Evil 2 is tangible proof that they aren’t forgotten in the process. Romero’s fingerprints are on Resident Evil, and that DNA has not only carried over to this new iteration, but Capcom has directly, deliberately called it out. I wish he was here to see it.